A variety of tops and skirts to be combined in various ways. 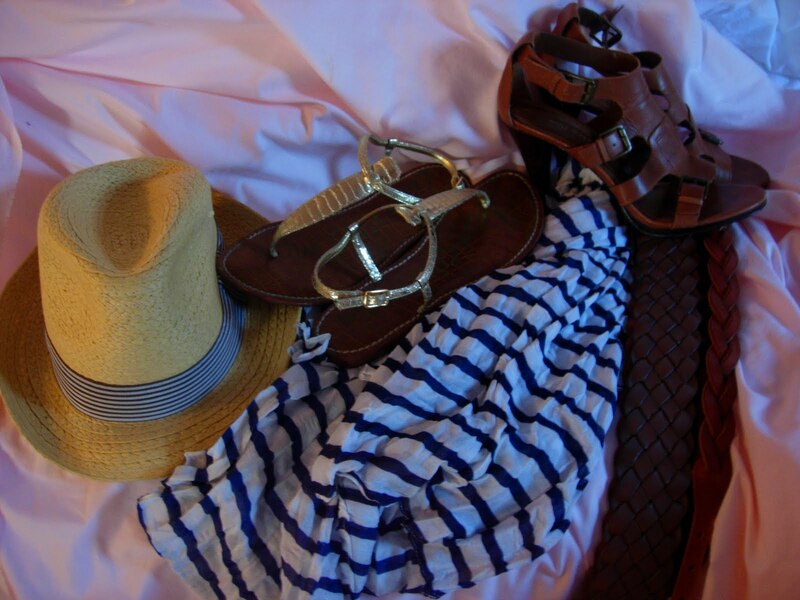 It’s easy stress-free packing creating a variety of different outfits that can be re-worn and -assembled. A going out dress. This was my investment piece from a couple of summers ago when I got one of my first official paychecks as a working college grad. It was something I saw, and knew I had to have. Luckily it went on sale right before I went on vacation. Can you say temptation? Shirt dresses/over sized shirts. I can’t think of a more comfortable but still stylish beach go-to. This one is originally from H&M that I bought at the thrift store. At this point last week, I had not had time to iron my outfits. So please bare with me. The beach uniform: polo shirt and pastel shorts. It’s not very creative, but who has time to think while on vacation. This goes along the lines of that boy scout motto: be prepared. Cover ups. Once again a variety of colors and shapes to be paired with a variety of bikinis. I got this one at the thrift store and have no idea what the brand is. I just loved the stripes. Head scarfs/hats are essential especially when going down south. The sun is so penetrating that areas of my skin that have never burnt up north, including the tops of my ears/part line, get burnt. Various jewelry and accessories. Not much thought was put into this mishmash. I also just want to disclaim that even though this is roughly what I imagine myself packing when I go on vacation, an additional 10 outfits or so get thrown in, in a moment of indecision and loss of self control. Happy packing! Perfect post I am packing at this very moment! Fantastic packing advice! I always stick with one color scheme, to minimize the number of shoes I need to lug along. Each and every look is fabulous. 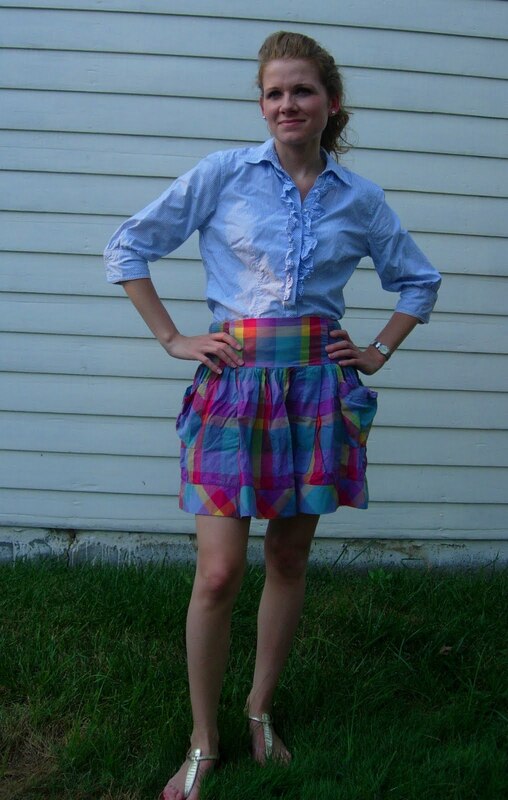 That madras skirt is so darling! Oh I love that plaid skirt so much! I just LOVE the first look with the red skirt!